What is a European Army, Anyway? German Chancellor Angela Merkel speaks during a debate on the futur of Europe during a plenary session at the European Parliament in Strasbourg, eastern France, November 13, 2018. President Emmanuel Macron has poked the hornet’s nest, calling in a 6 November interview for a “real European Army”. 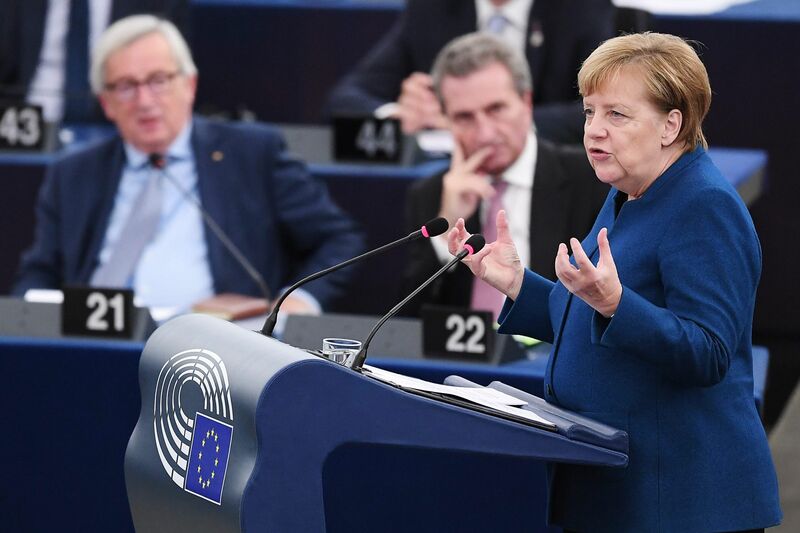 Chancellor Angel Merkel offered cautious support (“we have to work on a vision to establish a real European army one day”) some days later in a speech to the European parliament. The European Commission is reportedly both delighted by the two leaders’ thinking and irritated that Jean Claude Juncker is not receiving credit for coming up with the idea in the first place (students of 1950s European history might disagree with the Commission on this second point). Otherwise, though, the reaction has been predictably negative. Donald Trump responded with a typically combative tweet, and Dutch Prime Minister Mark Rutte claimed that France and Germany were “jumping the gun”. NATO Secretary General Jens Stoltenberg welcomed efforts to strengthen European military capability, but warned against duplicating the Alliance and undermining the transatlantic relationship. Determined not to be left out even as his country lurches towards its exit from the European Union, UK Defence Secretary Gavin Williamson called the idea “crazy and dangerous”. There are many sensible arguments for (and even perhaps some against) greater integration in European defence, but without a common understanding of the vocabulary of the debate, the kind of trading in soundbites that followed President Macron’s proposal is inevitable. ‘European army’ may be a handy term to inspire the believers or frighten the doubters, but it is not helpful for a sensible discussion of the pros and cons. So what is a European army? We can assume – because otherwise European army proponents would already be satisfied – that the current array of arrangements for European defence cooperation and defence integration do not count as a ‘European army’. Defence cooperation through Permanent Structured Cooperation (PESCO – which has just added 17 new multilateral projects, some concerned with capability development, some with creating operational structures, to the original 17 agreed last year) is not sufficient to justify the label. Nor is the assembly of forces on a case-by-case basis to conduct military operations under the auspices of the EU – there are currently six of these in Bosnia Herzegovina, Mali, the Central African Republic, Somalia, the Mediterranean, and off the Horn of Africa. 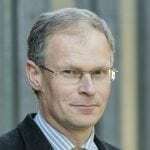 We should also exclude the EU Battlegroups, a rotational, multi-national rapid reaction capability standing ready to be deployed at the decision of the European Council, but never used since its creation in 2007, the Military Planning and Conduct Capability, which plans and executes the EU’s non-executive military missions, and its parent military staff element, the EU Military Staff; and, indeed, the combination of all these arrangements. Outside the EU, Europe’s wide range of bi-, mini- and multi-lateral initiatives, including France’s flagship European Intervention Initiative and the long-established Eurocorps, must also fall below the cut off line. As well as being mostly too small to justify the ‘army’ tag they are perhaps insufficiently ‘European’ – they are coalitions of willing European countries, not formations closely tied to European political structures (although many are declared ‘available’ to the EU and NATO). Similar concerns about European provenance would also likely exclude creating a ‘European army’ from the European pillar of NATO. But at the other end of the spectrum, it seems unlikely that European army proponents have in mind – except as a very long-term vision – an army for the EU that corresponds to the national armed forces of today. Such a maximalist model would see the member states’ armed forces rolled up into a single European force, constituted under a single chain of command, reporting to a central European political authority, and solely responsible for the defence tasks previously executed by the member states. None of the member states are ready to cede this much sovereignty to the Union. Somewhere between these two extremes there are at least three models that could fit the ‘European Army’ bill. The first would be more of what we have today in the EU’s Common Security and Defence Policy. Defence cooperation and integration would continue to deepen through the existing tool set – PESCO, the European Defence Fund, the Coordinated Annual Review of Defence, the work of the European Defence Agency, and so on, all closely coordinated with NATO through the developing EU-NATO defence cooperation process. A further boost could come from finding ways of tying in more closely Europe’s bi-, mini- and multi-lateral initiatives, but the key would be to ensure that all these efforts were presented as a single package representing Europe’s cooperative defence contribution. This model is more ‘European Army’ as metaphor than concrete military structure – it seems unlikely that this is what President Macron had in mind (although a French mop-up crew later claimed that this is exactly what he intended) but it is by a long stretch the most achievable prospect. A second model would involve seconding parts of national forces to a centralised European structure, along the lines proposed by French Prime Minister Réné Pleven in 1950. Pleven proposed a force of around 100,000, made up of battalions sent by European states, placed under the control of a European Minister of Defence and managed through a common budget. He envisaged that the force would be placed under the command of NATO’s Supreme Allied Commander Europe; its modern equivalent would report to an EU supreme commander. Those national forces not sent to the European structure would remain under national command. A third model would see the EU directly recruiting, training and equipping European citizens to create armed forces that would again function under supranational command, alongside existing national forces. Here too, the EU would also need to develop central administrative arrangements such as a Ministry of Defence and defence budget. Reaching the agreements necessary to implement these second two models would be enormously challenging. Hard questions about political decision making, command and control, and financing, not to mention the roles and tasks of the European army would need to be resolved. But this is not an idea that will go away. As the global order creaks and groans under the strain of multiple challenges, Europe is vigorously debating the concept of strategic autonomy. The place and role of armed force is central to this and the notion of the European Army can be expected to continue to inspire or haunt us. If this is to be a meaningful debate, it would be as well to define what we are talking about.